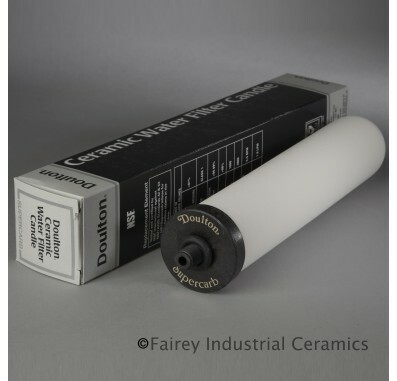 Manufactured with a hard, microporous ceramic shell and carbon core, the W9122021 ceramic filter can remove contaminants as small as 0.5 microns. This Doulton candle is capable of removing 99.99% of most water contaminants, producing crisp, clean tasting water. 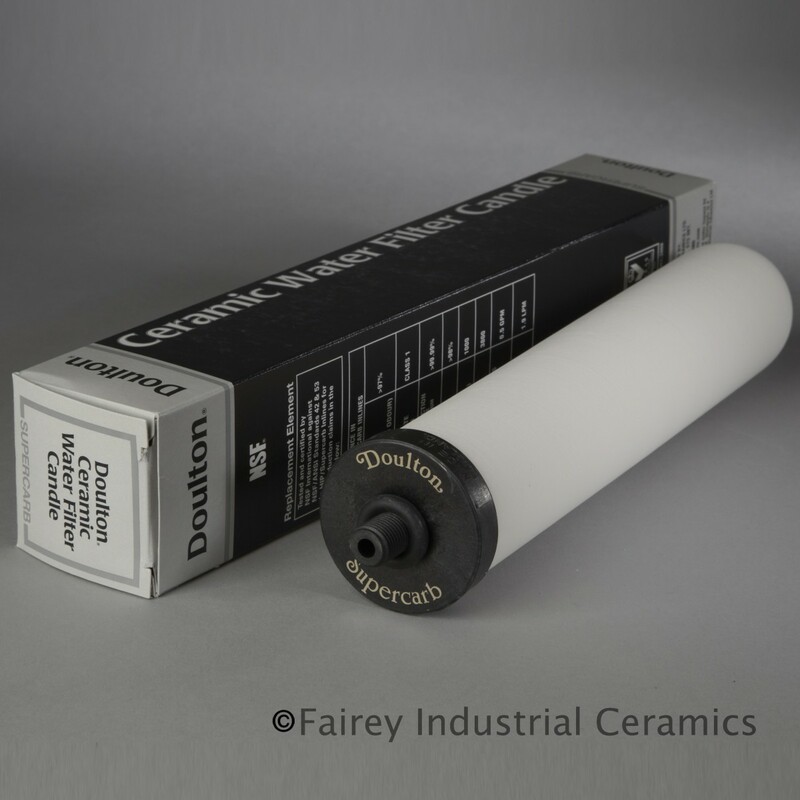 Note: The W9122021 filter candle only fits Doulton pressurized systems that use short mount filter candles. 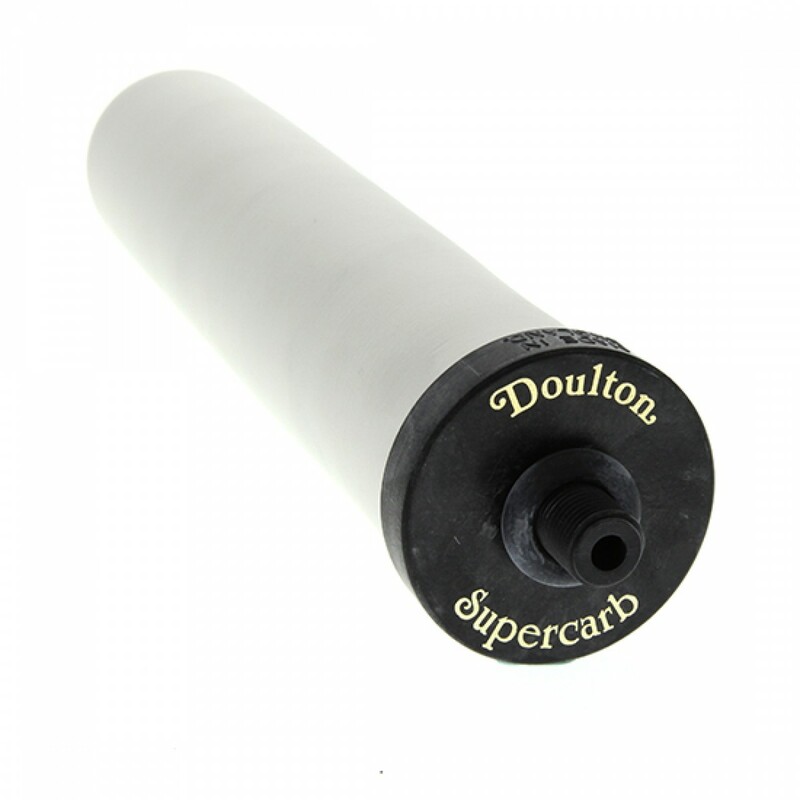 The Doulton SuperCarb Replacement Element fits all Doulton short mount Countertop, Undersink and Inline Systems. The filter uses Sintered Ceramic to remove contaminants for up to 6 months. The ceramic filter can be scrubbed clean with a brush for an extended life. Note: See owner's manual for complete filter contaminant removal and specifications. Cleanable for prolonged filter life.